Last month, my “Rich Reads” book review was written by a serviceman, Admiral William H. McRaven, author of the gem, Make Make You Bed Little Things That Can Change Your Live … And Maybe the World. It’s a special little book to help get you where you want to go. That was an easy read and a game changer! While having breakfast in April with friend/realtor Jim Martell, I shared my enthusiasm for last month’s book. 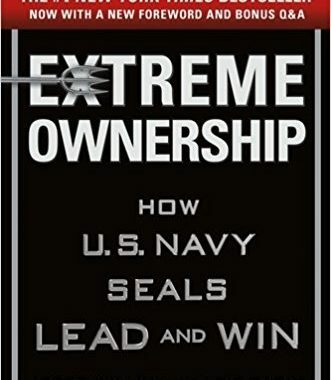 Jim shared with me a new title, Extreme Ownership How U.S. Navy Seals Lead & Win, By Jocko Willink and Leif Babin. Jim served in the Marine Corps and though soft spoken and smiling always, Jim shows the discipline of a Marine. Jim was kind to deliver the book to my office. So in keeping with our service theme, and in appreciation of Jim’s gift, I am reviewing Extreme Ownership. Thanks again Mr. Martell for the book and your service to our country. A fairly graphic detail of a battle or time in Iraq by the Authors. Note: Adrenalin is pumping while reading this section. It’s fascinating to hear the authors describe what they are feeling and thinking in various conflict scenarios. However, if you are not a lover of armed conflict descriptions, this section might not be for you. The next section is the Principle. This is a description of what is gleaned from the battlefield as a core principle. Finally the “Application to Business” section gives an example of how the authors, now management consultants on leadership & management, use the Principle to guide their clients to better results. You can certainly skip the battlefield section if that’s not “your thing”, but, ideally, you’ll get the most out of it by reading and thinking about all three sections. Unlike Make Your Bed, you won’t get through Extreme Ownership in an hour, but it’s well worth the read. If Make Your Bed was about how to personally be better and thereby to improve the world, Extreme Ownership is for those in leadership who must constantly improve so they can maximize their company’s results and the improve their people. In Chapter 2, their description of the Seal teams racing on the waters proves that if you put a great leader with a “bad team” it’s remarkable how that bad team becomes a good or even great team. Read that Chapter from start to finish because unlike the others it deals with the Seals training not fighting in Iraq and the lesson is best learned from the events in San Diego. Make Your Bed definitely made me better and now I am confident that Extreme Ownership, though certainly not an easy read, will make me (and you, if you read it) a better leader or manager! At the corner of Main Street and South Lee Street, you will find Rico’s World Kitchen, the best restaurant Buford has to offer. The restaurant is located in an old Pure gas station which has been renovated and has been the home of Rico’s since the restaurant opened. The food is very tasty and offers a variety of options. 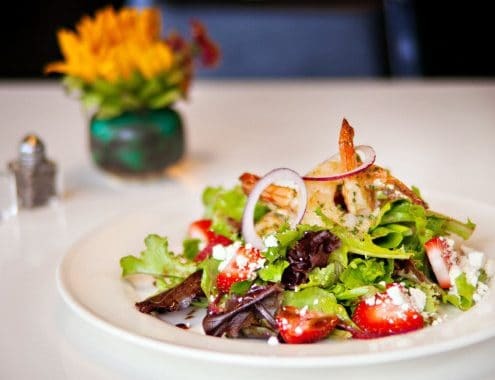 The standard menu items are available daily, including my favorites, the Smoked Chicken Cuban and Strawberry Salad. Additionally, there are several special available each day. The specials are the way to go as they are always tasty and unique. Some of my past favorite specials include the Short Rib Tacos and the Pork Carnitas Torta. The ambience is great and the staff are friendly. The restaurant has an eclectic feel, which is hard to find in Buford. I highly recommend Rico’s World Kitchen to anyone out there who appreciates truly good food. You will not be disappointed. So what’s the meaning of these famous words and how can they help us? I started thinking about an analogy for how this statement applies to business. 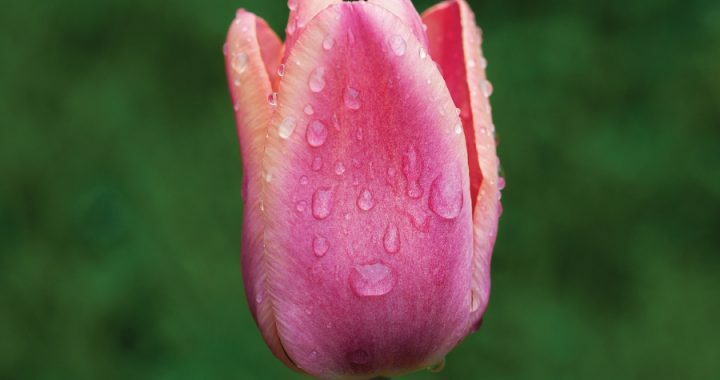 For our flowers to bloom we must first plant seeds, water them regularly and feed them the nutrients they require. Despite our best efforts only patience, consistency and the right attention will make our seeds bloom into beautiful flowers. Isn’t this what we all do in business? We find the flowers we want to plant … the people we want to build relationships with and we begin to plant seeds. Yes we may even as Dictionary or Wiktionary.com suggest, experience some unpleasant occurrence or periods of discomfort. We take the risk of calling a new relationship and risk rejection. We contact existing relationships and think we are being ignored. Maybe we are or maybe that person is going through something which prevents them from responding. Nevertheless, as Brian Buffini coaches world wide, we should call, we should write notes and we should pop-buy or visit with these relationships. These are the showers which lead to flowers. Only with patience, consistency and the right action as described above do the seeds become flowers! After the flowers bloom, they will need to be continually nurtured and cared for. They need sunshine, more nutrients and more water to keep their luster. Same as the relationships we create. We must shower the people we love with love (James Taylor), the people who we do business with, our employees and vendors with gratitude and we must continue the actions which got the flower to bloom (i.e. the relationship) in the first place. Share your best rainmaking tip, story or idea on our Facebook page. Know that to those who have made our garden beautiful we thank you and look forward to the very busy Spring and Summer ahead! If you are receiving this newsletter, you are likely an entrepreneur, business person or sales person. In short you are driven to success. 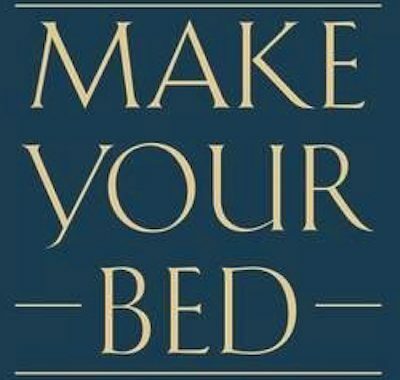 Admiral William H. McRaven’s Make Make You Bed Little Things That Can Change Your Live … And Maybe the World is a special little book to help get you where you want to go. “people who make their bed are up to 206.8 percent more likely to be millionaires. Me We Do Be by Randall Bell” They are also more likely to be happier (Gretchen Rubin, author of “The Happiness Project.”), more productive and even more likely to stick to a budget (The Power of Habit by Charles Duhigg). So the nutshell, before the review… Make your bed and do it every day! Yes, every day! Now on to the review… In what began as a commencement speech gone viral, Admiral McRaven in 130 small pages, which can be read in an hour or so, gives his ten ways to change your life for the better, and caps it with the written commencement speech that went viral and led to the book. It’s an easy book to read, re-read and I can’t tell you enough that you, yes you can grow quickly by applying one or more of his recommended changes (i.e. a chapter!). Ten chapters of good, practical advice to employ by a guy who knows! My two favorite chapters were Chapter One: Start Your Day with a Task Completed (i.e. make your bed) and Chapter Four: Life’s Not Fair (i.e. everyone ends up a “sugar cookie” at some point … yeah if you don’t know what I am referring to read the book and you’ll figure out that this is one “sugar cookie” that doesn’t smell, taste or feel good). But really, all the chapters are great – each, when combined with the others, are that much more powerful. The book supplies a perspective from a man who survived Navy Seal training, served his country, and survived a tragic air jump accident. His life lessons are those that can be applied by anyone, including a guy (or gal) who never even joined the scouts. Since I read the book, I have made my bed literally every day (even when I went to a conference recently and stayed at a 4 Star Hotel)… this has led to me feeling that sense of accomplishment in the a.m., which has noticeably made me feel better about the day and led to more discipline in many areas. Read the book, make your bed and let me know what you think! My favorite restaurant in Decatur depends on which “hat” I am wearing that day. Kimball House, located in an historic train depot, offers an engaging atmosphere and creative menu that makes it stand out in a town with no shortage of interesting restaurants. A perfect gathering place for cocktails at its bustling bar, or a special dinner, Kimball House offers an impressive beer and wine menu. Their distinct creativity and attention to quality ingredients comes through with their cocktails. They also know how to treat the classics, such as the Sazerac, which takes me back to my years in New Orleans. The dinner menu changes daily, focusing on local products, many of which are grown in the garden adjacent to the restaurant. They always feature several steak and seafood items, as well as an extensive caviar menu. It is most enjoyable to share a few appetizers, such as grilled oysters or duck foie gras, and some sides. They make it exciting to eat your vegetables! This is also the kind of place where you should linger and enjoy a dessert with coffee or an after dinner drink. Everything they serve here surprises as to quality and inventiveness. 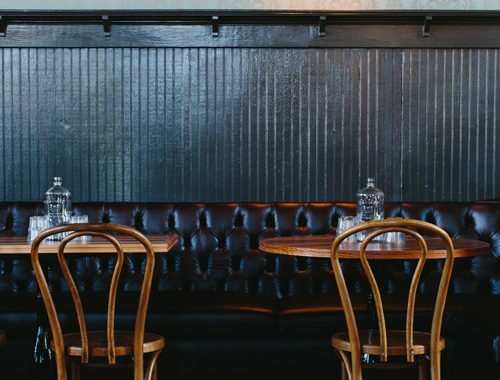 When I want to let my hair down and go somewhere the kids will enjoy, my go-to is Universal Joint, a classic neighborhood hang-out in the heart of Oakhurst Village. This is the perfect patio for beautiful weather, offering you a front row seat to Harmony Park, where you can watch the kids play while you enjoy a draft beer. The menu features family friendly fare, with some innovations and healthy choices for those who want to go beyond classic bar food. They offer especially good burgers, an assortment of quesadillas, and my favorite Southern chicken salad sandwich. A meal can be made of appetizers such as the spicy eggrolls (chicken, cream cheese, grapes, jalapenos, and mango chutney) or Universal Fries (cheddar, smoked bacon, jalapenos, scallions,and homemade ranch). Ujointbar.com | 906 Oakview Road, Decatur 30030. We are often asked how to have great closings, and it truly does take a village. Recently a mortgage buddy told me there are 1260 things that can go wrong from the time a person starts to look for their home until they close. I have no idea how he or his company came up with that stat. I bet it’s more! There are so many humans using so many programs and hardware that what’s amazing isn’t the little hiccups but rather how often things go right. But we at Shafritz & Dean are after more than, “we go it closed”. After all our tag-line is “Everyone Walks Away Happy” and that’s what we aspire to! Here are 10 tips to those of us serving buyers, sellers and borrowers coming from a guy who has been a loan officer for 10 years (including commercial and residential) and an attorney for nearly 20 now. Said another way … I am getting old J.
I have always known that a smooth closing, a good closing, includes three things – 1) efficient – 1 hr. or less, 2) funded and disbursed … our friends of the firm want to walk away with their commissions and 3) good chocolates on the table! The only thing we can do without the help of the lender and the realtors is make sure our chocolate selection is grand and the bowl filled! For the other two items above keep reading…. Tip # 1: Agents insist on the ALTA Combined Closing Statements (CSS) a minimum of 3 days in advance and read them closely prior to closing – read them for typos, for items on the other side which may impact your client (ex. Home warranty … if you represent the buyer and seller is paying look to see it’s on the seller side), for correct figures, for correct closing cost contributions and yes is your commission correct. Note that if the Broker name is misspelled on the prelim ALTA, if it doesn’t get fixed it will be misspelled on your commission checks. Tip # 2: Pay at Closes and Disbursement Authorizations are great but they must be correct and you have to remember to bring the Earnest Money. As a young loan officer I often heard agents complain about the gap between the closing and when they got paid. 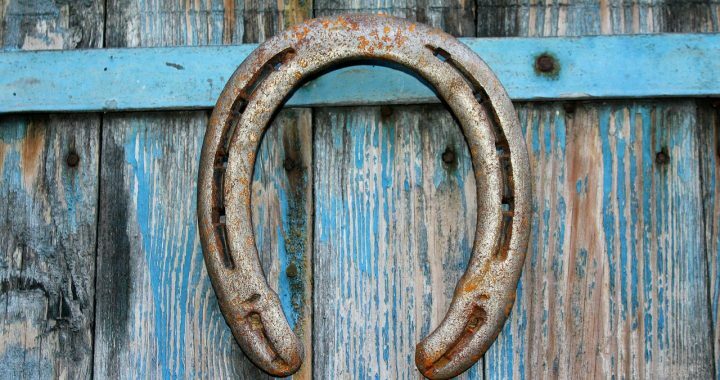 Now brokers treat agents like clients (as I think they should!) and want to allow them to get their portion of the commission at closing. Unfortunately, we often find the math is wrong and just as often even the experienced agent forgets the earnest money. This delays closing and makes it taxing on everyone. So when you pickup the PAC or DA, make sure you tic and tie it to the ALTA CSS and pick up that EM!!! For the record, no reputable will accept bit-coins or any crypto-currency for closings. And while a bag of cash may be legal tender, most firms including ours don’t want more than a small amount in cash. Too much risk that we may get intercepted on the way to the bank. [Remember It’s a Wonderful Life and Jimmy Stewart’s uncle losing $10,000 of the savings and loan.] So let’s make sure from day 1 to day of closing it’s clear that parties need to wire funds. Finally, tell your frugal clients that their bankers in attempt to save them up to $25 will suggest they electronically transfer their money. This is code for ACH and remind them to stay strong and pay the wire fee! Tip #5 Wires … oy vey they drive me crazy part 2- Wires are great except when fraudsters get involved and encourage your clients to wire funds to their bogus accounts and encourage law firms to wire proceeds to bogus accounts. “Stay out of the middle” is the summary from an earlier article on wire fraud, and make sure your clients contact the closing attorney directly for wire instructions and confirm independently they are valid. One agent suggested that, on no less than 4 closings (all with different attorneys), fraudsters had encourage her clients to send a wire to their bogus account. News flash… it could be your email has been compromised. Don’t get in the middle and if it happens more than once consider better email security. Tip #6: Certain Days are better than others – There are 6 -7 days which I advise my relationships to avoid closing because they are inevitably much busier – believe it or not we’ll close 60% of our transactions on Fridays, the last day for residential refis to come out of rescission and the last calendar day of the month. Double witching day is when Friday is the last business day of the month, but, for some reason, people like these days. Buyers like Fridays so they can move over the weekend. But if they close Thursday, buyers can have a 3 day weekend. Loan officers are ever-cognizant of the last day for refinances to close, and still fund in the same month, after the 3-days right-to-cancel expires. This is done to minimize the amount of per-diem interest paid for the remainder of the month. Just close a day or two earlier, and you’ll avoid the rush. Finally the last day of the month. Someone told an agent along time ago it’s better for the buyer if you close the last day of the month and you’ll save money. This is inaccurate. You may save having to bring a little less money to closing, but you are not saving money. Many lenders will do an interest credit up to 5 days so you could close the first 5 days of the month and have no prepaid interest those days. My loan officers buddies who close refis the last day of the month… while I love the business it’s got to be the worst day possible to schedule a refi. Unless your rate lock is expiring, the party is leaving the country for a month the following day and there is no other alternative, avoid scheduling a refinance the last business day of the month. Who – make sure the right people come to closing – wife or husband is going on security deed then they have to be at the closing. Wife and Husband are both on title both need to show up (or provide an acceptable alternative i.e. POA—which must be arranged and confirmed in advance). This causes more delays than are necessary, and delays closing, funding and disbursing a file. What – In addition to who, we need to know what to bring – two forms of ID one of which is Driver’s License – current license or if no license a current valid passport. It really surprises me when parties show up with no current license. They forgot or don’t have one and everyone wants me to make an exception. Sorry – we live in 2018 where identity theft is real and where people create grand fraud schemes. Bring your checkbook because if you have to come out of pocket for a nominal sum (our firm $1000 at most some firms it’s $500) most firms will accept a check to keep things moving. Bring anything you think you have scanned to the attorney which might be needed such as the Home Owners Insurance (Declarations Page + Invoice or Paid Receipt), Trust Documents, Death Certificates etc. When & Where – Despite our best efforts parties and professionals are not always tuned in for the day and time of closing. Sometimes they know and decide to come later or earlier. We all have limited bandwidth and if you are an hour late for a closing you don’t just delay the parties at closing by an hour. It may be that we have closings right behind yours and so the delay becomes several hours. Also, once a law firm has more than 1 address it’s an invitation for people to go to the wrong location. These kind of details need to be confirmed before one party shows up at our Perimeter office and the other at our Suwanee office and we have to wait 35 minutes (without traffic) for the parties to show up in the right location. So iron out those details with the firm and with your clients so we end up at the right place and at the right time. Tip # 9 Make sure the lender and attorney have all necessary addendums. Many years ago if the sales price changed by going down or a repair had to be made, we could find out at closing with limited delay. Today, that’s a disaster and it happens – I have received amendments at closing which result in hours or days of delays because the agents forgot to send the amendment to the lender and attorney. So once you amend the original contract and every time you do so, please make sure the lender and secondarily the law firm receives any changes. Tip # 10 We are dealing with people; when you know people are difficult or their situations are difficult let the law firm know. Husband and wife hate each other and will be getting a divorce, it’s a good idea to share this in advance with your friendly neighborhood attorney. The worst shouting ever at my closing table has been husbands and wives (or exs.) who are screaming at each other while the rest of us look for the closest exit. How about the dreaded “reader.” That person is guaranteed unless the most skilled attorney can work them quicker to turn a 45 minute closing into a three hour closing at best. What should we do – get them the package prior to closing. Not sure you have a reader but think you might? Ask them and explain that everyone including the firm budgets approximately 1 hour for closing and it will take them 6 hours to really read the package. This will encourage the reader to ask for the package up front and avoid them reading at the table. Finally one more example we see frequently see are parties or agents who don’t like one another. If we know up front we can separate parties. Push them to be at the closing at the same time just in different rooms because when parties schedule different times even when they aren’t at odds there is more room for problems and delays since one party may not discover an error even in their favor which the other party finds later that day. So, there you have it… a “top ten” list that, if followed, will guarantee smoother and happier closings! Shouldn’t we all be on a quest to improve? I often say that, with all the books on leadership, marketing, management, etc. that I read, and seminars I attend, one day I am going to be smart and successful. I’d like to share with you a book each newsletter I have recently read which I think has great value to you. 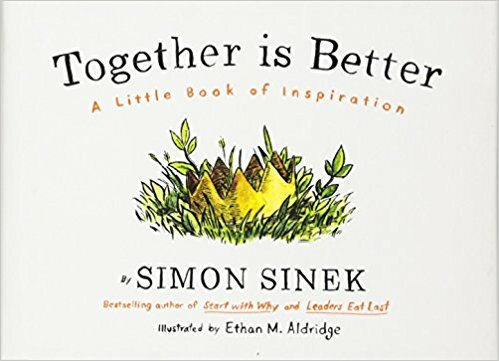 My first review is a little nugget called Together is Better by Simon Sinek. You may have heard of Simon, who wrote Start with Why and Leaders Eat Last. This fun little picture book is chock-full of great wisdom, advice ideas, inspiration on why all of us are better than one of us! We all are part of teams and many receiving this book are leading teams. You can read (and reread this book) in under an hour and every time you do you’ll be inspired to be a better teammate and lead a better team. This short story includes “a little more” from Simon. It’s nothing like his other two books which are more challenging reads. It’s fun, worthwhile and takes you on the journey with 3 friends, kids on a playground, who overcome obstacles working together and playing to one another’s strengths! Let me know your thoughts on the review and the book if you choose to pick it up. And, remember, we want to be part of your team and help you and your clients be successful. Review and opinions of this book are strictly those of Richard Shafritz. One of my favorite places to meet with new and existing clients is The Nest located on Cherokee Street just outside Downtown Kennesaw. 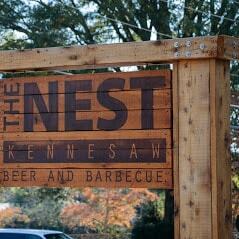 If you like Bar-B-Que and Beer The Nest is a great place to go. Their Brisket is fantastic and their sides are out of this world (Personally I love the Mac and Cheese and fries). They have great Nachos as well, and the half order is plenty for 2-3 people. As good as the food is the beer selection is even better. They have 48 Taps with a rotating selection of Craft Beers, many of which you will not find any where else in the area. They have a large selection of IPA’s, Sours and ,my personal favorite, Stouts. The taps are constantly being updated as well so you get a great variety, no matter what your tastes in beer you find it at the Nest. The Nest is divided into two sections with a large deck between them. While the full menu is available throughout the restaurant, one side is primarily a dining area which is great for sit down meeting over lunch or dinner. The other side is the bar area which has a great atmosphere and a hand crafted bar top. Perfect for a more casual meeting over beer or wine. During the spring and summer the outdoor deck is a great place to hang out either with a client or with your family, the deck is pet friendly so you can even bring the four legged members of your family. The staff is friendly and very knowledgeable so if you feel overwhelmed by the large selection of beer, they can steer you in the right direction. Matthew Schuurman is the managing attorney for the Cobb offices of Shafritz & Dean. He works primarily out of the Kennesaw office but spends a good bit of time at the Marietta office as well. He’s working on growing our business in the Cobb County area as well as our presence in the community. He also works behind the scenes clearing title and resolving issues so that your closings go smoothly and efficiently. Part of his responsibilities include creating new relationships as well as maintaining our existing relationships within the real estate community. In the course of doing this he spends a good bit of time networking and creating relationships in and around the Kennesaw/Acworth area. Let him know if you are in his area and have time for coffee! 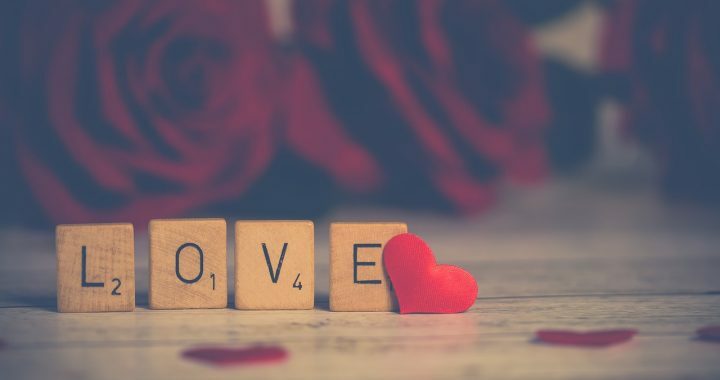 As we celebrate Valentine’s Day, we thought we would share some thoughts about loving you—our friends of the firm! Love what you do, and the people you do it with and for! Our team is committed to that principle, and the reverse side of our business cards state, “Everyone Walks Away Happy”! When you care deeply, just “getting it closed” simply isn’t enough. It can’t be faked and everyone who takes the time to read this knows that long term if you don’t love it you will stop caring. Now celebrating our first decade in business, Doug and I were best friends in law school and we go to work thinking how we can make our practice better and serve our “friends of the firm” daily. Love the challenges your career presents! Whether you’re an agent, loan officer, owner, broker, builder, or just happen to be in another field reading this article, you will have challenges. If you’re in real estate and don’t enjoy solving problems, then it’s time for change! Do you embrace the challenges and solve them, or do you let them defeat you? Go back to #1 above and if you love it, you’ll find a way to conquer any obstacle. Love the great moments, celebrate them and be grateful. Life may have challenges, but there’s so much more than turning lemons into lemonade. Sometimes, it’s about knowing that you have lemonade right in front of you. We all have moments of victory, and we should celebrate the feeling of joy that comes from them and the satisfaction of a job well-done. In an effort to ensure we provide you with valuable content I want to share an article from Entrepreneur Magazine about the top 10 ways to make your client happy (along with quick thoughts from our firm). Become an authority in your field (With 7 real estate attorneys averaging over 14 years of service … we are here to help our friends of the firm and their clients.). We think today is an a wonderful opportunity to share with others how you feel, and let then know you love them and are thankful for them! Thanks, we love your support, and we wish you all the best in ’18! Change is never easy and we can certainly debate the tax law reform on many levels but for our industry and specifically in Georgia for real estate we believe everything will be okay! Here, let’s not try to provide a comprehensive analysis of the changes to our IRC but rather focus on those key areas which impact home buying and lending decisions. Previously an owner could exclude Capital Gains on their primary residence if they lived their 2 out of the last 5 years. There was talk and I was concerned they were going to make it 5 out of the last 8 years. While not catastrophic it would have done nothing but hurt our industry (even if it were a minimal impact). For some this exclusion is a reason to move every 2-5 years. It would have more than doubled the minimum from 2 to 5 years resulting in fewer sales. Note there was not change to the exclusion of up to $250,000 for individual and $500,000 for a married couple filing jointly. We’re not San Diego, Seattle, Washington, Boston, NY etc. where the home prices for so many are well above the $750,000 mortgage limit. In the Atlanta metro counties, where the median price of a home is $300,000 or less in most zip codes, a $750,000 loan goes a long way for the average homebuyer. Psychologically some higher end customers may change their buying habits but I doubt it. Are you really going to avoid buying that $1.2M home for example because your 80% loan of $960,000 leaves you unable to write off the last $210,000 of interest payment. Of course some might but most will recognize that the lower overall brackets leave them quite capable of making their dream home come true. Finally on this matter, keep in mind the limit was already $1M and there were still the wealthy who were not deterred. One thing to keep in mind and do some research on is home equity lines and junior debt. It’s my understanding from our research that this type of debt may not allow for interest deduction. So for you loan officer who like to do the piggy-back financing, make 100% sure you are not hurting your borrowers. Income taxes and property taxes will be the one area to really watch. Georgia does have both a state income tax and property taxes as we all know. 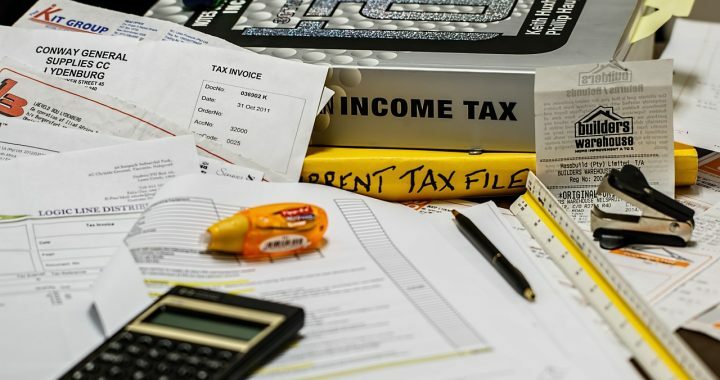 Compared to many states our taxes are low but with a $10,000 cap on these deductions, expect some of us to be disappointed how quickly we hit the limit. If there is any good news, the bump in the standard deductions and the lower tax rates should hopefully mean we don’t get pinched to badly. However, certain states with high tax brackets such as California 13.8% and Oregon 9.9% could really feel the effect. We all know that home values and property taxes are not low in these areas either. Moving expenses will generally no longer be deductible (though apparently there will be some exceptions for those in the military) if the new workplace is at least 50 miles away from the old home but I just can’t see people electing to be stuck in home far from a new job because they don’t want to pay for moving expenses in the event their employer won’t foot the bill. So our industry (at least in Metro-Atlanta) it seems will dodge a bullet with changes to the Tax Code. Also, with the strength of the local and national economy, recognition of Atlanta as an attractive and desirable destination for employers to relocate to and those seeking employment, low interest rates still in place and finally reasonable compared to other big cities in the U.S. get ready to have your best year to date in ’18. Not intended to substitute for consulting your tax accountant.